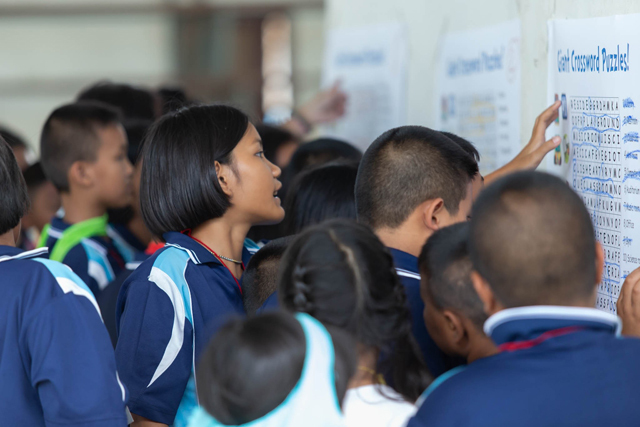 CUEL held 2018 English Camp at Wat Laem Chabang School on 17 August for 88 elementary student’s grade 4-6. 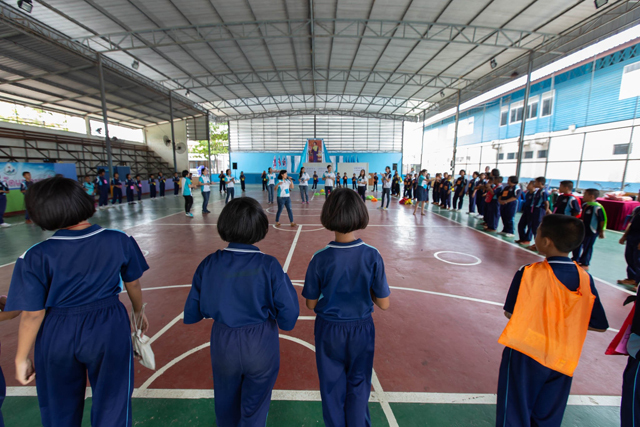 The learning activities started with many fun games that helped the children to learn Basic English. 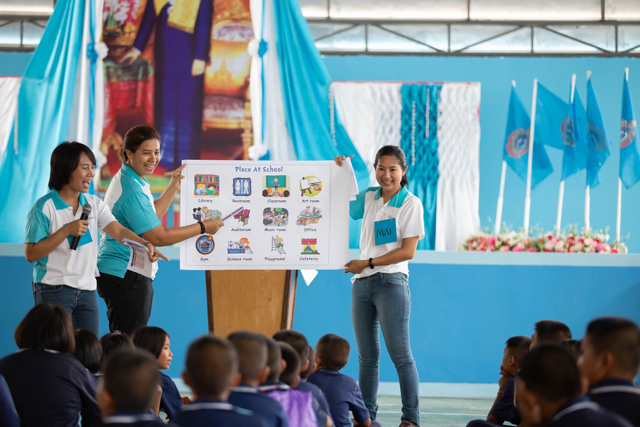 A variety of learning activities, including self-introduction, learning vocabularies all over the house and school, entertained and encouraged the children to speak English. Everyone had a day full of happiness and fun. Volunteers from Departments in BKK and LCB were a big support in this community activity. Our appreciation and thanks to the volunteers. 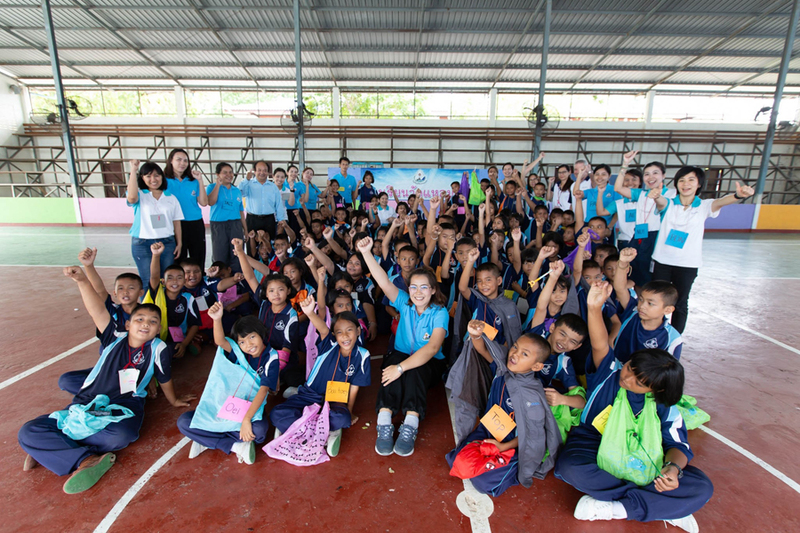 English Camp being a part of CUEL Corporate Social Responsibility annual program is an ongoing educational activity to support Laem Chabang community school.